Lockheed Martin, Orlando, Florida, was awarded a $631,757,949 fixed-price-incentive Foreign Military Sales (Netherlands and Japan) contract to procure a variety of Hellfire II missile variants in containers. One bid was solicited with one bid received. Work will be performed in Orlando, Florida, with an estimated completion date of Sept. 30, 2021. Fiscal 2017 and 2018 foreign military sales; and other procurement, Army funds in the combined amount of $631,757,949 were obligated at the time of the award. U.S. Army Contracting Command, Redstone Arsenal, Alabama, is the contracting activity (W31P4Q-15-C-0130). CACI-ISS Inc., Chantilly, Virginia, was awarded a $126,799,620 modification (P00044) to contract W15QKN-15-C-0049 for training, sustainment and deployment of the Integrated Personnel and Pay System. Work will be performed in Arlington, Virginia, with an estimated completion date of Oct. 31, 2021. Fiscal 2018 other procurement, Army funds in the amount of $12,140,000 were obligated at the time of the award. 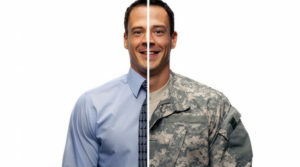 U.S. Army Contracting Command, New Jersey, is the contracting activity. Alion Science and Technology Corp., was awarded a $49,873,115 cost-plus-fixed-fee contract to increase knowledge and understanding of state-of-the art technologies and techniques suitable to developing the agile and adaptive capabilities needed to ensure the success of the future Army. Bids were solicited via the internet with one received. Work will be performed in McLean, Virginia, with an estimated completion date of Sept. 29, 2021. Fiscal 2018 research, development, test and evaluation funds in the amount of $5,130,000 were obligated at the time of the award. U.S. Army Contracting Command, Aberdeen Proving Ground, Maryland, is the contracting activity (W911NF-18-C-0090). Greenman-Pedersen Inc., Babylon, New York, was awarded a $49,500,000 firm-fixed-price contract for resident engineer and inspection services for the East River Bridges Program. Bids were solicited via the internet with one received. Work locations and funding will be determined with each order, with an estimated completion date of Sept. 27, 2028. U.S. Army Corps of Engineers, New York, New York, is the contracting activity (W912DS-18-D-0003). Nordic PCL Construction Inc., Honolulu, Hawaii, was awarded a $41,476,374 firm-fixed-price contract for construction of an F-22 Fighter Alert Facility at Joint Base Pearl Harbor-Hickam, Hawaii. Bids were solicited via the internet with two received. Work will be performed in Joint Base Pearl Harbor-Hickam, Hawaii, with an estimated completion date of Dec. 31, 2020. Fiscal 2016 military construction funds in the amount of $41,476,374 were obligated at the time of the award. U.S. Army Corps of Engineers, Honolulu, Hawaii, is the contracting activity (W9128A-18-C-0009). Altus LLC,* Darlington, Maryland (W91CRB-19-D-0001); Applied Research Associates Inc., Albuquerque, New Mexico (W91CRB-19-D-0002); Joint Research and Development Inc.,* Stafford, Virginia (W91CRB-19-D-0003); and SURVICE Engineer Co. LLC,* Belcamp, Maryland (W91CRB-19-D-0004), will compete for each order of the $48,000,000 cost-plus-fixed-fee contract for performance of analytical services associated with target descriptions, vulnerability, survivability and weapons effectiveness studies, and support to current operations. Bids were solicited via the internet with four received. Work locations and funding will be determined with each order, with an estimated completion date of Sept. 30, 2023. U.S. Army Contracting Command, Aberdeen Proving Ground, Maryland, is the contracting activity. Honeywell International Inc., Phoenix, Arizona, was awarded a $37,701,755 firm-fixed-price contract for tank engine parts for the AGT-1500 tank engine. One bid was solicited with one bid received. Work will be performed in Phoenix, Arizona, with an estimated completion date of Oct. 31, 2020. Fiscal 2019 operations and maintenance, Army funds in the amount of $37,701,755 were obligated at the time of the award. U.S. Property and Fiscal Office, Kansas, is the contracting activity (W912JC-19-C-5707). Raytheon IDS, Andover, Massachusetts, was awarded a $35,000,000 firm-fixed-price domestic and Foreign Military Sales (Taiwan) contract for Sweep 9 modification kits. One bid was solicited with one bid received. Work will be performed in Andover, Massachusetts, with an estimated completion date of Sept. 28, 2022. Fiscal 2018 other procurement, Army funds in the amount of $35,000,000 were obligated at the time of the award. U.S. Army Contracting Command, Redstone Arsenal, Alabama, is the contracting activity (W31P4Q-18-C-0112). Ames Construction Inc., Burnsville, Minnesota, was awarded a $34,775,560 firm-fixed-price contract for fish bypass channel and replacement weir at Lower Yellowstone River Intake. Bids were solicited via the internet with six received. Work will be performed in Glendive, Montana, with an estimated completion date of March 19, 2021. Fiscal 2015 and 2018 operations and maintenance Army funds in the amount of $22,500,000 were obligated at the time of the award. U.S. Army Corps of Engineers, Omaha, Nebraska, is the contracting activity (W9128F-18-C-0031). MOCA Systems, Boston, Massachusetts (W912DQ-18-D-7000); Accura Engineering and Consulting Services Inc.,* Atlanta, Georgia (W912DQ-18-D-7001); and Crawford Consulting Services,* East Pittsburgh, Pennsylvania (W912DQ-18-D-7002), will compete for each order of the $28,500,000 firm-fixed-price contract for architect-engineering services for construction management services. Bids were solicited via the internet with 14 received. Work locations and funding will be determined with each order, with an estimated completion date of March 28, 2027. U.S. Army Corps of Engineers, Kansas City, Missouri, is the contracting activity. Sheffield Korte Team LLC,* Lawton, Oklahoma, was awarded a $27,227,500 firm-fixed-price contract for design and construction of an Army Reserve Center at Joint Base Lewis-McChord, Washington. Bids were solicited via the internet with seven received. Work will be performed in Fort Lewis, Washington, with an estimated completion date of Oct. 1, 2020. Fiscal 2018 military construction; and operations and maintenance, Army funds in the amount of $27,227,500 were obligated at the time of the award. U.S. Army Corps of Engineers, Louisville, Kentucky, is the contracting activity (W912QR-18-C-0040). Honeywell International Inc., Phoenix, Arizona, was awarded a $23,013,694 firm-fixed-price contract for tank engine parts for the AGT-1500 tank engine. One bid was solicited with one bid received. Work will be performed in Phoenix, Arizona, with an estimated completion date of May 31, 2020. Fiscal 2019 operations and maintenance, Army funds in the amount of $23,013,694 were obligated at the time of the award. U.S. Property and Fiscal Office, Kansas, is the contracting activity (W912JC-19-C-5704). exp Federal Inc.,* Chicago, Illinois, was awarded a $16,128,727 firm-fixed-price contract to supply and install a pulse generating system, a pulse generating control system, a power monitoring system and a pulse generating cooling system as part of an integrated system at the Permanent Barrier I Aquatic Nuisance Species. Bids were solicited via the internet with one received. Work will be performed in Romeoville, Illinois, with an estimated completion date of Sept. 30, 2021. Fiscal 2018 civil works funds in the amount of $16,128,727 were obligated at the time of the award. U.S. Army Corps of Engineers, Chicago, Illinois, is the contracting activity (W912P6-18-C-0021). Lockheed Martin Corp., Grand Prairie, Texas, was awarded a $12,500,000 cost-plus-fixed-fee contract for development, test, and purchase of Counter Unmanned Aerial System solutions. One bid was solicited with one bid received. Work locations and funding will be determined with each order, with an estimated completion date of Sept. 30, 2023. U.S. Army Contracting Command, Aberdeen Proving Ground, Maryland, is the contracting activity (W911QX-18-D-0008). Navqsys LLC,* Aberdeen Proving Ground, Maryland, was awarded a $10,514,449 cost-plus-fixed-fee contract for expertise in program of record requirements, engineering requirements development, implementation management, logistics coordination, supply chain management, technical documentation, operational reporting, issue resolution, site surveys, contract preparation, execution management and budgetary planning and execution. Bids were solicited via the internet with five received. Work will be performed in Aberdeen Proving Ground, Maryland, with an estimated completion date of Sept. 27, 2022. Fiscal 2018 operations and maintenance Army funds in the amount of $10,514,449 were obligated at the time of the award. U.S. Army Contracting Command, Aberdeen Proving Ground, Maryland, is the contracting activity (W56KGY-18-C-0008). Emerson Construction Co. Inc.,* Temple, Texas, was awarded a $10,453,000 firm-fixed-price contract to construct a new standard design Supply Storage Activity Warehouse. Bids were solicited via the internet with seven received. Work will be performed in Fort Hood, Texas, with an estimated completion date of Jan. 4, 2021. Fiscal 2018 military construction funds in the amount of $10,453,000 were obligated at the time of the award. U.S. Army Corps of Engineers, Fort Worth, Texas, is the contracting activity (W9126G-18-C-0078). Terra Construction Inc.,* Oklahoma City, Oklahoma, was awarded a $9,854,000 firm-fixed-price contract to renovate and repair Buildings 3426, 3427 and 3428 at Fort Sill, Oklahoma. Two bids were solicited with two bids received. Work will be performed in Fort Sill, Oklahoma, with an estimated completion date of Sept, 21, 2020. Fiscal 2018 operations and maintenance, Army funds in the amount of $10,447,648 were obligated at the time of the award. U.S. Army Corps of Engineers, Tulsa, Oklahoma, is the contracting activity (W912BV-18-F-0185). Emerson Construction Co. Inc.,* Temple, Texas, was awarded a $10,453,000 firm-fixed-price contract to construct a new standard design Supply Storage Activity Warehouse. Bids were solicited via the internet with seven received. Work will be performed in Fort Hood, Texas, with an estimated completion date of Jan. 4, 2021. Fiscal 2018 military construction funds in the amount of $9,854,000 were obligated at the time of the award. U.S. Army Corps of Engineers, Fort Worth, Texas, is the contracting activity (W9126G-18-C-0079). K-W Construction,* San Marcos, Texas, was awarded a $9,515,500 firm-fixed-price contract for renovations of Building B44 at Fort Sam Houston, Texas. Bids were solicited via the internet with three received. Work will be performed in Fort Sam Houston, Texas, with an estimated completion date of Sept. 30, 2019. Fiscal 2018 operations and maintenance Army funds in the amount of $9,515,500 were obligated at the time of the award. U.S. Army Corps of Engineers, Fort Worth, Texas, is the contracting activity (W9126G-18-C-0100). CORRECTION: A Sept. 28, 2018, announcement that Norfolk Dredging Co., Chesapeake, Virginia, was awarded an $11,311,500 firm-fixed-price contract (W912BU-18-C-0047) for maintenance dredging of the Delaware River is incorrect. That contracts has not yet been awarded. Nine companies have been awarded task orders under the following International Charter Airlift Services in Support of the Civil Reserve Air Fleet contracts: HTC711-18-D-CC37 — Atlas Air Inc., Purchase, New York (HTC711-19-F-1000; $231,789,791); Federal Express, Memphis, Tennessee (HTC711-19-F-1001; $34,326,712); HTC711-18-D-CC39 — ABX Air,* Wilmington, Ohio (HTC711-19-F-1004; $10,694,315): Air Transport International Inc.,* Wilmington, Ohio (HTC711-19-F-1005; $16,873,851); Kalitta Air LLC,* Ypsilanti, Michigan (HTC711-19-F-1006; $160,621,410); Omni Air International Inc.,* Tulsa, Oklahoma (HTC711-19-F-1007; $97,084,582); United Parcel Service Co., Louisville, Kentucky (HTC711-19-F-1008; $14,903,387); Western Global Airlines,* Estero, Florida (HTC711-19-F-1009; $7,495,547); and HTC711-18-D-CC40 — National Airlines,* Orlando, Florida (HTC711-19-F-1010; $8,110,420). The task orders provide international long-range and short-range charter airlift services for the Department of Defense. Work will be performed globally. The task order period of performance is from Oct. 1, 2018, to Sept. 30, 2019. Type of appropriation is fiscal year 2019 Transportation Working Capital Funds. U.S. Transportation Command, Directorate of Acquisition, Scott Air Force Base, Illinois, is the contracting activity. International Auto Logistics LLC, Brunswick, Georgia, has been awarded an indefinite-delivery requirements-type, fixed-price with economic price adjustment contract (HTC71119DR001) in the amount of $295,057,155. The contract provides complete transportation and storage services for Department of Defense (DoD) sponsored shipments of privately-owned vehicles (POVs) belonging to military service members and transportation of DoD-sponsored shipments of POVs for DoD civilian employees. Work will be performed at multiple locations inside and outside the continental U.S. The contract base period of performance is from Oct. 1, 2018, to Sept. 30, 2020. Fiscal year 2019 Transportation Working Capital Funds were obligated at award. U.S. Transportation Command, Directorate of Acquisition, Scott AFB, Illinois, is the contracting activity. Air Transport International has been awarded a task order in the amount of $84,833,663 under fixed-price, indefinite-delivery/indefinite-quantity with economic price adjustments and incentives contract HTC711-18-D-CC16 for combination passenger and cargo charter airlift services. This contract provides global air charter transportation services utilizing Part 121 aircraft configured to simultaneously transport both passengers and cargo. Services required include full planeload port-to-port airlift transportation services, commercial equivalent economy passenger services, 463L pallet cargo services, and mission coordination. Work will be performed globally. Contract period of performance is Jan. 16, 2018, to Dec. 31, 2021; task order period of performance is Oct. 1, 2018, to Sept. 30, 2019. The cumulative value of the contract has increased to $125,534,228 from $40,700,565. Fiscal 2019 Transportation Working Capital Funds were obligated at time of award. U.S. Transportation Command, Directorate of Acquisition, Scott AFB, Illinois, is the contracting activity. International Auto Logistics LLC, Brunswick, Georgia, has been awarded a task order modification P00020, in the amount of $74,743,060, on contract HTC711-14-D-R025. This modification provides continued support of transportation and storage of Department of Defense (DoD)-sponsored shipments of privately-owned vehicles belonging to military service members, and transportation of DoD-sponsored shipments of privately-owned vehicles belonging to DoD civilian employees. Work will be performed at multiple locations within the U.S. and outside the U.S. The option period of performance is Oct. 1, 2018, to Feb. 28, 2019. Fiscal 2019 Transportation Working Capital Funds were obligated at award. This modification brings the total cumulative face value of the contract to $837,708,354 from $762,965,293. U.S. Transportation Command, Directorate of Acquisition, Scott AFB, Illinois, is the contracting activity. Affigent LLC, Herndon, Virginia, has been awarded a firm-fixed-price task order (HTC71118FD112) in the amount of $12,637,147. The contract provides Oracle annual license maintenance and support renewal to the U.S. Transportation Command (USTRANSCOM) TCJ6. This renewal is for Oracle annual maintenance and support for USTRANSCOM and its component commands, Military Surface Deployment and Distribution Command, Air Mobility Command, Military Sealift Command and Joint Enabling Capabilities Command. Work will be performed in Scott Air Force Base, Illinois. The contract period of performance is from Oct.1, 2018, to Sept. 30, 2019. Fiscal 2019 Transportation Working Capital Operating Funds were obligated at award. USTRANSCOM, Directorate of Acquisition, Scott AFB, Illinois, is the contracting activity. Northrop Grumman Technical Services Inc., Herndon, Virginia, was awarded an $11,816,167 modification exercising the third option period on task order HTC711-16-F-D011. The modification provides continued non-personal advisory and assistance service for consulting and planning of acquisition and life cycle phases of supply value chain systems in support of U.S. Transportation Command and other associated supporting organizations. The modification brings the total cumulative face value of the contract to $39,936,618 from $28,120,451. Work will be performed at Scott Air Force Base, Illinois. Performance is from Oct. 1, 2018, through Sept. 30, 2019. Fiscal 2019 Transportation Working Capital Funds have been obligated. U.S. Transportation Command, Directorate of Acquisition, Scott AFB, Illinois, is the contracting activity. AMYX Inc.,* Reston, Virginia, has been awarded a $10,836,764 modification on GSA One Acquisition Solution for Integrated Services (OASIS) indefinite-delivery/indefinite-quantity contract GSA00Q14OADS103, exercising the second option period on task order HTC711-17-F-D001 for continued non-personal advisory and assistance service support providing functional, engineering and resource management services for entire acquisition life cycles, information technology systems supported and in support of the U.S. Transportation Command and other associated supporting organizations. The modification brings the total cumulative face value of the contract to $28,567,462 from $17,730,698. Work will be performed at Scott Air Force Base, Illinois. Performance is from Oct. 1, 2018, to Sept. 30, 2019. Fiscal 2019 Transportation Working Capital Funds will be obligated. U.S. Transportation Command, Directorate of Acquisition, Scott AFB, Illinois, is the contracting activity. Tapestry Solutions Inc., San Diego, California, has been awarded an $8,229,223 modification (P00015) exercising the fourth option period under a firm-fixed-price contract HTC711-15-C-D001with cost-plus-fixed-fee, labor hour and cost reimbursable contract line items. The modification brings the total cumulative face value of the contract to $27,367,062 from $19,137,840. This contract provides Integrated Computerized Deployment System sustainment and modifications to implement software solutions in support of Department of Defense transportation requirements. Work will be performed at Scott Air Force Base, Illinois, as well as at the contractor’s offsite facility in San Diego, California. The option period of performance is Oct. 1, 2018, through Sept. 30, 2019. This support is funded by fiscal 2019 Transportation Working Capital Funds. U.S. Transportation Command, Directorate of Acquisition, Scott AFB, Illinois, is the contracting activity. M1 Support Services LP, Denton, Texas, has been awarded a $71,318,065 modification (A00039) to previously awarded contract FA3002-16-C-0006 for aircraft maintenance services. This modification exercises the third option period of a seven-year, firm-fixed price contract for T-6, T-38 undergraduate pilot training, and T-38 Introduction to Fighter Fundamentals aircraft maintenance services. This modification brings the total cumulative face value of the contract to $202,434,619. Work will be performed at Sheppard Air Force Base, Texas, and is expected to be complete by Sept. 30, 2019. Fiscal 2019 operations and maintenance funds the full amount being obligated at the time of award. The 82nd Contracting Squadron, Sheppard Air Force Base, Texas, is the contracting activity. COLSA Corp., Huntsville, Alabama, has been awarded a $69,618,375 modification (P00039) to contract FA2486-16-F-0031 for Technical and Management Advisory Services Command, control, communications, computer, intelligence, surveillance and reconnaissance (C4ISR)/cyber support. The contractor will provide additional research, development, test and evaluation, and acquisition support services. Work will be performed at Eglin Air Force Base, Florida; Hanscom AFB, Massachusetts; Gunter Annex, Alabama; Patrick AFB, Florida; Edwards AFB, California; Scott AFB, Illinois; Robins AFB, Georgia; Beale AFB, California; Hill AFB, Utah; Langley AFB, Virginia; and San Antonio, Texas, and is expected to be completed by Sept. 30, 2019. This modification involves foreign military sales to Australia, Belgium, Canada, Chile, Denmark, Egypt, Finland, France, India, Indonesia, Iraq, Japan, Jordan, Korea, Morocco, NATO, Netherlands, New Zealand, Norway, Oman, Poland, Portugal, Qatar, Romania, Saudi Arabia, Singapore, Taiwan, Thailand, Turkey, United Arab Emirates, and the United Kingdom. Fiscal 2019 research, development, test and evaluation funds; production funds; and operations and maintenance funds in the amount of $17,165,708 will be obligated at the time of award. Total cumulative face value of the contract is $183,437,730. Air Force Test Center, Eglin AFB, Florida, is the contracting activity. DynCorp International LLC, Fort Worth, Texas, has been awarded a $68,254,084 modification (P00023) to contract FA4890-17-C-0005 for Air Force Central Command War Reserve Materiel. Work will be performed at Shaw Air Force Base, South Carolina; Kuwait, Oman, Qatar, and Unite Arab Emirates. The contract modification provides for the exercise of option year two period of performance (Oct. 1, 2018, to Sept. 30, 2019) for services being provided under the basic contract. Fiscal 2019 operations and maintenance funds in the amount of $66,698,421 are being obligated at the time of award. Total cumulative face value of the contract is $168,357,739. Acquisition Management and Integration Center, Joint Base Langley-Eustis, Virginia, is the contracting activity. M1 Support Services, Denton, Texas, has been awarded a $12,047,564 modification (A00032) to contract FA3002-15-C-0006 for trainer maintenance services. Work will be performed at Sheppard Air Force Base, Texas; and Naval Air Station Pensacola, Florida, and is expected to be completed Sept. 30, 2019. The total cumulative face value of the contract is $76,720,526. Fiscal 2019 operations and maintenance funds in the amount of $6,023,939 will be obligated at the time of award. The 82nd Contracting Squadron, Sheppard AFB, Texas, is the administrative contracting activity. Enhanced Veterans Solutions Inc., Springfield, Virginia, has been awarded a $10,196,413 unilateral modification (P00035) to previously awarded contract FA4452-15-C-0001 for Communication, Operation & Maintenance Functions II support. This modification provides for the funding of the fourth option of a multiple year contract, and brings the total cumulative face value of contract to $38,391,010. Work will be performed at Scott Air Force Base, Illinois, and is expected to be complete by Oct. 1, 2019. Fiscal 2019 operations and maintenance funds; and transportation working capital funds in the amount of $10,196,413 are being obligated at time of award. The 763rd Specialized Contracting Squadron, Scott Air Force Base, Illinois, is the contracting activity. Tapestry Solutions, San Diego, California, has been awarded an $8,538,289 unilateral modification (P00022) to previously awarded contract FA4452-15-C-0003 for sustainment and integration support for the Mobility Enterprise Information Service. This modification provides for the funding of the fourth option of a multiple year contract, and brings the total cumulative face value of contract to $45,271,093. Work will be performed at Scott Air Force Base, Illinois, and is expected to be complete by Sept. 30, 2019. Fiscal year 2019 transportation working capital funds in the amount of $8,538,289 are being obligated at the time of award. The 763rd Specialized Contracting Squadron, Scott Air Force Base, Illinois, is the contracting activity. TFOM-HHS Group JV, Austin, Texas, has been awarded an $8,182,232 for Healthcare Aseptic Management Services. The contract provides for medical aseptic housekeeping, waste management, and linen management. These services constitute the enterprise-level Healthcare Aseptic Management Services requirement for the Air Force Medical Service as directed by the Healthcare Aseptic Management Services Requirement Approval Document. Work will be performed in the Southwest Region of the U.S. The award includes a transition period from Feb. 14, 2019, to March 31, 2019, funded with fiscal 2018 operations and maintenance funds. A base period plus five option periods will follow the transition period from June 1, 2019, to Feb. 13, 2025. The base period will be funded incrementally using fiscal 2019 operations and maintenance funds. This award is the result of a competitive acquisition and 11 offers were received. The 773rd Enterprise Sourcing Squadron, Joint Base San Antonio – Lackland, Texas, is the contracting activity (FA8052-18-C-0008). InfoReliance Corp., Fairfax, Virginia, has been awarded a $7,865,267 unilateral modification (P00004) to previously awarded contract FA4452-18-F-0003 for the Global Air Transportation Execution System. This modification provides for the funding of the first option of a multiple year contract, and brings the total cumulative face value of contract to $15,561,738. Work will be performed at Scott Air Force Base, Illinois, and is expected to be complete by Sept. 30, 2019. Fiscal 2019 transportation working capital funds in the amount of $7,865,267 are being obligated at time of award. The 763rd Specialized Contracting Squadron, Scott Air Force Base, Illinois, is the contracting activity. The Boeing Co., Huntington Beach, California, is awarded a $26,663,956 cost-plus-fixed-fee contract to provide the U.S. and United Kingdom Trident II (D5) maintenance and rebuilding and technical services in support of the Navigation subsystem. Work will be performed in Huntington Beach, California (75.0 percent); and Heath, Ohio (25.0 percent), with an expected completion date of Sept. 30, 2020. United Kingdom funds in the amount of $1,512,629 are being obligated on this award. Subject to the availability of funding, fiscal 2019 operations and maintenance (Navy) contract funds in the amount of $25,151,327 will be obligated. Funds in the amount of $25,151,327 will expire at the end of fiscal 2019. This contract was a sole-source acquisition pursuant to 10 U.S. Code 2304(c)(1)&(4). Strategic Systems Programs, Washington, District of Columbia, is the contracting activity (N-00030-19-C-0002). Raytheon Co., Marlborough, Massachusetts, is awarded a $22,733,022 cost-plus-fixed-fee modification to previously awarded contract N00024-14-C-5315 for engineering services, travel, and other direct costs in support of AN/SPY-6 Air and Missile Defense Radar (AMDR) low-rate initial production. The AMDR suite is being developed to fulfill Integrated Air and Missile Defense requirements for multiple ship classes. This suite consists of an S-Band radar (AMDR-S), an X-band radar and a Radar Suite Controller. AMDR will provide multi-mission capabilities, simultaneously supporting long range, exoatmospheric detection, tracking and discrimination of ballistic missiles, as well as Area and Self Defense against air and surface threats. Work will be performed in Marlborough, Massachusetts, and is expected to be completed by November 2018. Fiscal 2016 shipbuilding and conversion (Navy); and fiscal 2018 research, development, technology and evaluation funding the amount of $13,057,902 will be obligated at time of award and will not expire at the end of the current fiscal year. The Naval Sea Systems Command, Washington, District of Columbia, is the contracting activity. Systems Application and Technologies Inc., Largo, Maryland, is awarded $20,489,591 for modification P00050 to a previously awarded cost-plus-fixed-fee contract (N00421-15-C-0036) to procure continued support services to include the design, development, procurement, building, installation, test, evaluation, calibration, modification, operation and maintenance on aircraft and engines for the Air Vehicle Modification and Instrumentation Department in support of the Navy, and other government and commercial customers. Work will be performed in Patuxent River, Maryland (95 percent); China Lake, California (2.5 percent); and Point Mugu, California (2.5 percent), and is expected to be completed in September 2019. Working capital (Navy) funds in the amount of $1,100,000 will be obligated at time of award, none of which will expire at the end of the current fiscal year. The Naval Air Warfare Center Aircraft Division, Patuxent River, Maryland, is the contracting activity. BAE Systems Technology Solutions and Services Inc., Rockville, Maryland, is awarded a $19,645,973 cost-plus-fixed-fee contract to provide logistics engineering and integration support of the U.S. Ohio-class and UK Vanguard-class Strategic Weapon System (SWS) platforms, including support of future concepts. Work will be performed in Saint Mary’s, Georgia (47.9 percent); Mechanicsburg, Pennsylvania (30.9 percent); Rockville, Maryland (11.7 percent); Silverdale, Washington (3.2 percent); Portsmouth, Virginia (1.1 percent); Mount Dora, Florida (1.1 percent); New Market, Maryland (1.1 percent); Carlisle, Pennsylvania (1.0 percent); Mooresboro, North Carolina (1.0 percent); and Mesa, Arizona (1.0 percent), with an expected completion date of Sept. 30, 2019. United Kingdom funds, in the amount of $3,466,833, are being obligated on this award. Subject to the availability of funding, fiscal 2019 operations and maintenance (Navy) contract funds in the amount of $15,779,579; and fiscal 2019 research development test and evaluation (Navy) contract funds in the amount of $399,561 will be obligated. No funds will expire at the end of the current fiscal year. This contract was a sole-source acquisition pursuant to 10 U.S. Code 2304(c)(1)&(4). Strategic Systems Programs, Washington, District of Columbia, is the contracting activity (N-00030-19-C-0007). Lightforce USA Inc.,* Orofina, Idaho, is awarded a $15,760,499 firm-fixed-price, indefinite-delivery/indefinite-quantity contract for the production of Squad-Variable Powered Scopes (S-VPS) in support of U.S. Special Operations Command. This procurement is for the S-VPS, spare parts and training. The S-VPS is a low-profile, wide-field-of-view, passive scope for near-range engagements out to and beyond the maximum effective range of the weapon system, for small arms employed by special operations forces. This contract includes options which, if exercised, would bring the cumulative value of the contract to $21,172,435. Work will be performed in Orofino, Idaho, and is expected to be completed by September 2023. Fiscal 2018 procurement (Defense-wide) funding in the amount of $1,512,000 will be obligated at time of award and will not expire at the end of the current fiscal year. This contract was competitively procured via the Federal Business Opportunities website, with five offers received. The Naval Surface Warfare Center, Crane Division, Crane, Indiana, is the contracting activity (N00164-19-D-JQ31). The Charles Stark Draper Laboratory, Cambridge, Massachusetts, is awarded a $13,380,171 cost-plus-fixed-fee contract to provide research into the applications of technologies to meet guidance requirements for operations on the Common Missile Compartment for the U.S. Columbia-class program and the United Kingdom Dreadnought-class program; provide specialized technical knowledge and support for the hypersonic guidance, navigation and control application; provide technical and engineering services to support the Guidance, Navigation and Control system that will support the Navy’s hypersonic flight experiments. Work will be performed in Cambridge, Massachusetts (81 percent); and El Segundo, California (19 percent), with an expected completion date of Sept. 30, 2019. Subject to the availability of funds, fiscal 2019 research, development, test, and evaluation funds in the amount of $13,380,171 will be obligated. No funds will expire at the end of the current fiscal year. This contract was a sole-source acquisition pursuant to 10 U.S. Code 2304(c)(1)&(4). Strategic Systems Programs, Washington, District of Columbia, is the contracting activity (N00030-19-C-0001). Systems Planning and Analysis Inc., Alexandria, Virginia, is awarded an $11,053,897 cost-plus-fixed-fee contract for program management and financial support of the Trident II (D5) Strategic Weapons System life extension program and future concepts, including the Common Missile Compartment. Work will be performed in Alexandria, Virginia (82 percent); Washington, District of Columbia (15 percent); Greenville, South Carolina (2 percent); and Orlando, Florida (1 percent), with an expected completion date of Sept. 30, 2019. Subject to availability of funding, fiscal 2019 operations and maintenance, (Navy) contract funds in the amount of $8,299,018; and fiscal 2019 research development test and evaluation, (Navy) contract funds in the amount of $2,754,880 will be obligated. This contract was a sole-source acquisition in accordance with 10 U.S. Code 2304(c)(1). Strategic Systems Programs, Washington, District of Columbia, is the contracting activity (N-00030-19-C-0032). Northrop Grumman Systems Corp., Melbourne, Florida, is awarded $10,833,190 for modification P00062 to a previously awarded cost-plus-incentive-fee contract (N00019-13-C-9999). This modification provides non-recurring and recurring engineering support to incorporate crew comfort provisions on the E-2D Advanced Hawkeye aircraft in support of the government of Japan. Work will be performed in Melbourne, Florida (76.13 percent); St. Augustine, Florida (21.89 percent); and various locations within the continental U.S. (1.98 percent), and is expected to be completed in June 2020. Foreign Military Sales (FMS) funds in the amount of $10,833,190 will be obligated at time of award, none of which will expire at the end of the current fiscal year. The Naval Air Systems Command, Patuxent River, Maryland, is the contracting activity. Mnemonics Inc.,* Melbourne, Florida, is awarded a $7,654,967 firm-fixed-price contract to procure 109 radio frequency blanking units and associated special test equipment in support of F/A-18E/F/G aircraft production and the retrofit of all existing EA-18G aircraft. Work will be performed in Melbourne, Florida, and is expected to be completed in March 2020. Fiscal 2018 aircraft procurement (Navy); and Foreign Military Sales (FMS) funds in the amount of $7,654,967 will be obligated at time of award, none of which will expire at the end of the current fiscal year. This award combines purchases for the Navy ($5,167,003; 67 percent); and FMS ($2,287,964; 33 percent). This contract was not competitively procured pursuant to Federal Acquisition Regulation 6.302-1. The Naval Air Systems Command, Patuxent River, Maryland, is the contracting activity (N00019-19-C-0017). Kearfott Corp.,* Black Mountain, North Carolina, has been awarded a maximum $17,185,308 firm-fixed-price, indefinite-delivery/indefinite-quantity contract for actuators. This is a five-year contract with no options. This was a sole-source acquisition using justification 10 U.S. Code 2304(c)(1), as stated in Federal Acquisition Regulation 6.302-1. Locations of performance are North Carolina and Alabama, with a Sept. 30, 2023, performance completion date. Using military service is Army. Type of appropriation is fiscal 2018 defense working capital funds. The contracting activity is the Defense Logistics Agency Aviation, Redstone Arsenal, Alabama (SPRRA1-18-D-0216). Kearfott Corp.,* Black Mountain, North Carolina, has been awarded a maximum $15,540,500 firm-fixed-price, indefinite-delivery/indefinite-quantity contract for roll trim servos. This is a five-year contract with no options. This was a sole-source acquisition using justification 10 U.S. Code 2304(c)(1), as stated in Federal Acquisition Regulation 6.302-1. Location of performance is North Carolina, with a Sept. 30, 2023, performance completion date. Using military service is Army. Type of appropriation is fiscal 2018 through 2023 Army working capital funds. The contracting activity is the Defense Logistics Agency Aviation, Redstone Arsenal, Alabama (SPRRA1-18-D-0223). CORRECTION: The contract announced on Sept. 28, 2018, for American States Utility Services Inc., Fredericksburg, Virginia, (SP0600-17-C-8328, modification P00004) was announced with incorrect obligation amounts. The correct value for the modification is $80,107,521, which increases the obligated value from $5,554,732 to $5,966,669.